Home » Bible » Bubba Burcham » Caleb Gordon » Church » Jesus » Lance Lang » Men » ‪#‎BiblicalManhood‬ Conference. MEN ARE IMPORTANT! Our culture and our nation needs Godly BIBLICAL MEN! Men who LOVE JESUS, and His WORD! 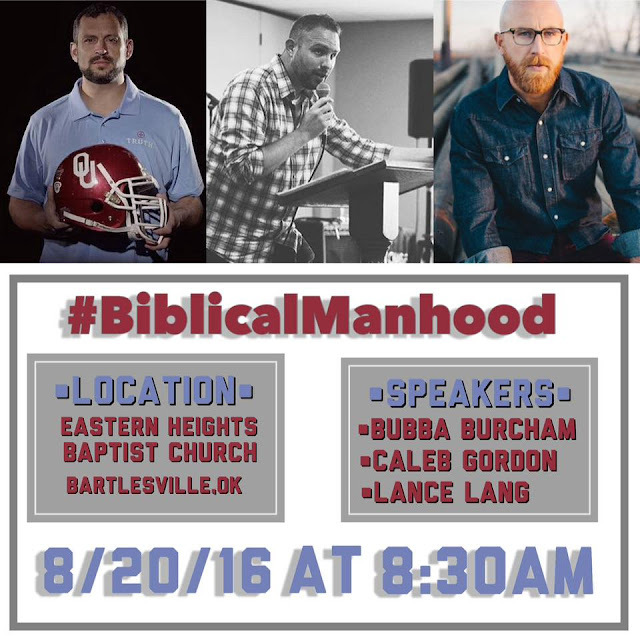 We are so excited to announce the ‪#‎BiblicalManhood‬ Conference. We have some pretty fun things planned for this little event. 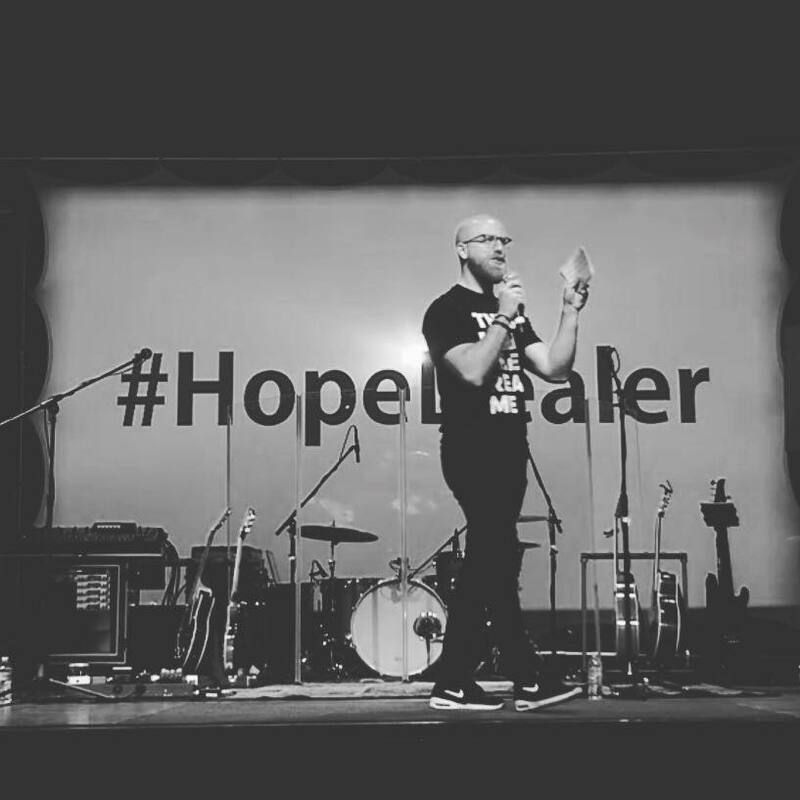 Lance Lang has devoted his life to inspiring hope in those suffering from addiction, sharing his own journey from addiction to brokenness to forgiveness. Lance currently is the Executive Director of “Hope is Alive”, a non-profit organization devoted to supporting men and women recovering from all types of addictions. Through this organization Lance provides addiction outreach, prevention and referral services to many Churches and Businesses. He is a sought after speaker, successful blogger and marketing consultant for other non-profits. His website LanceLang.com is read by thousands each week. 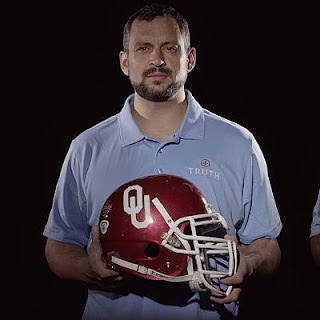 Bubba Burcham played College Football at the University of Oklahoma from 1996-2000. In 2000 he was a team captain when the Sooners won the BCS National Title. He has since coached college and high school football. Recently Bubba was the Head Coach at Coweta High School in OK. In 2008 we were 5A-4 District Champs and I was voted Coach of the Year for the District. In December of 2013 he stepped down as the Head Coach to pursue other forms of leadership to men. This event will be held at Eastern Heights Baptist Church! Saturday August 20, 2016 - 8:30 AM! Doors open at 8 AM!